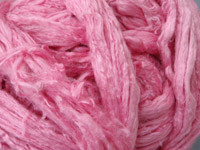 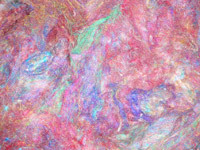 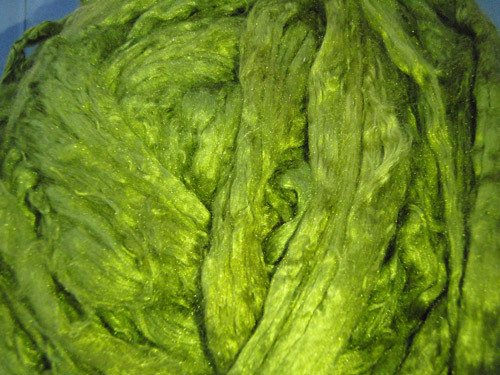 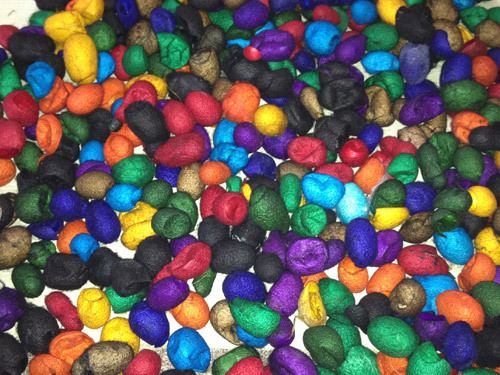 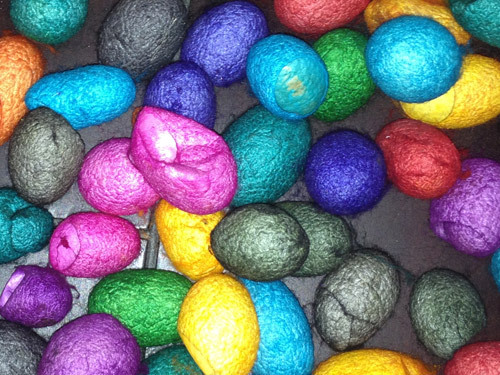 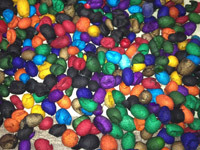 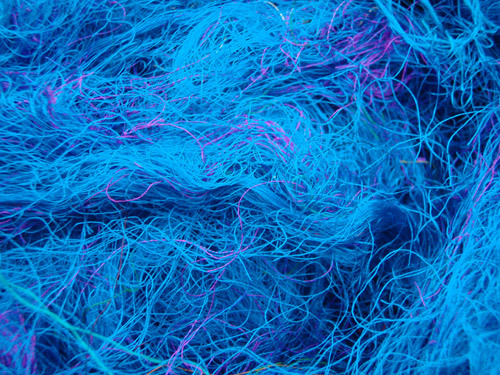 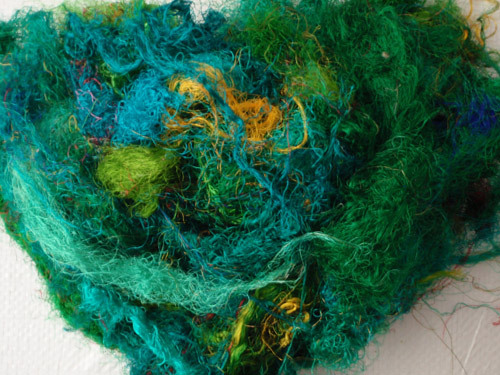 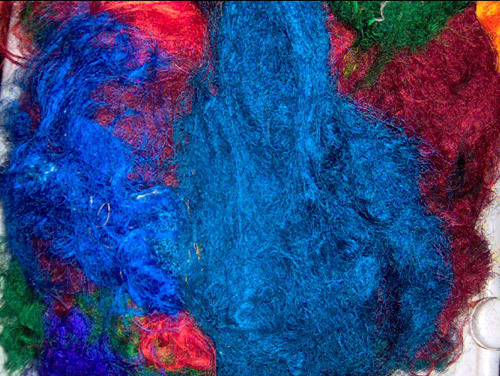 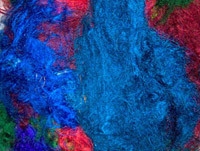 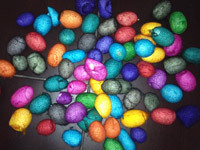 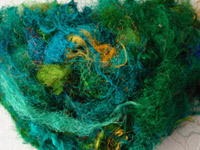 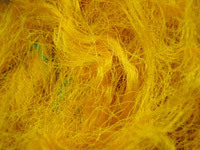 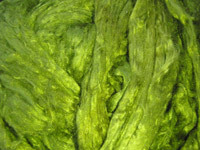 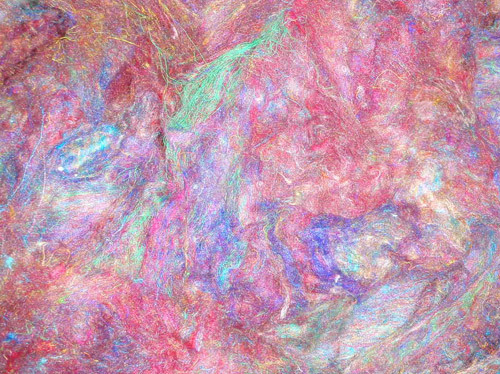 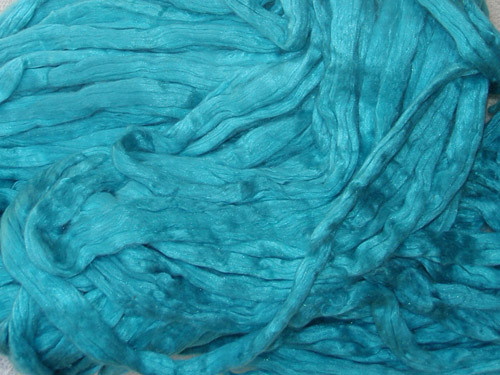 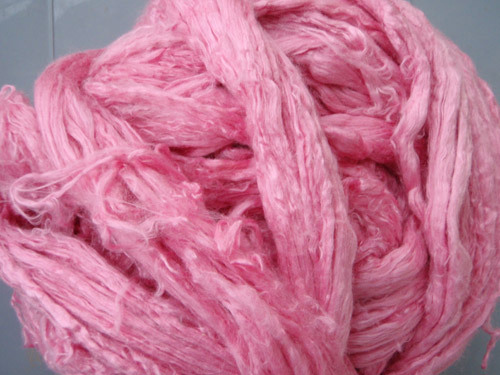 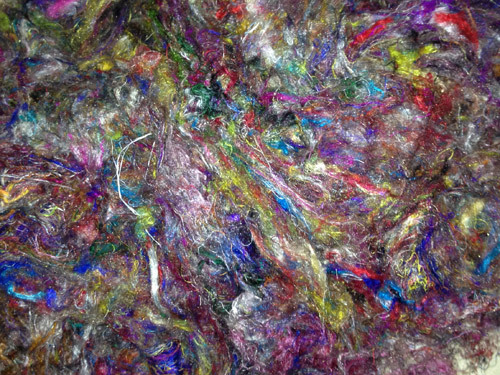 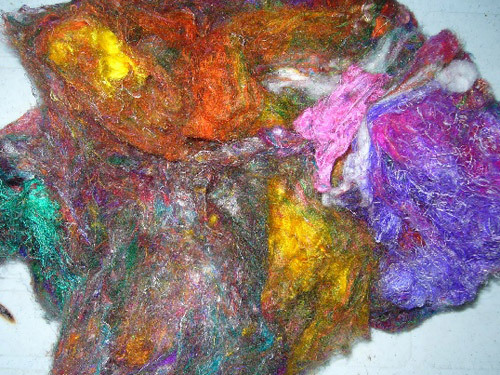 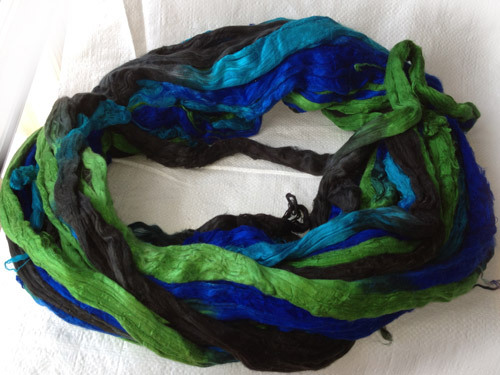 Silk fiber used to make the colorful Recycled Sari Silk Yarns. 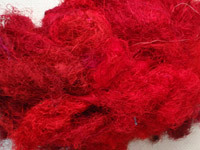 Ideal for spinning and felting and can be used for other craft activities. 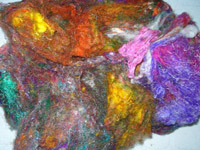 Can dyed into any color of your choice. 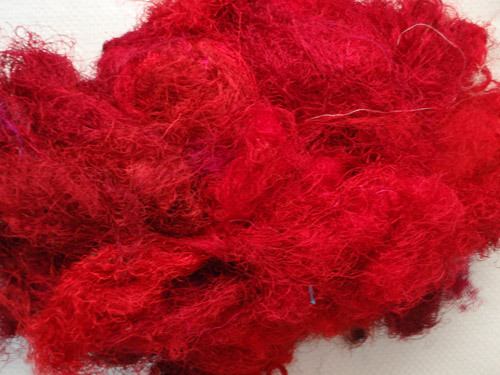 Can be used for various artistic purposes in making jewellery or any other craft products. 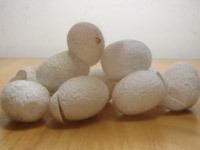 The Undyed Cocoon is also used for face massage. 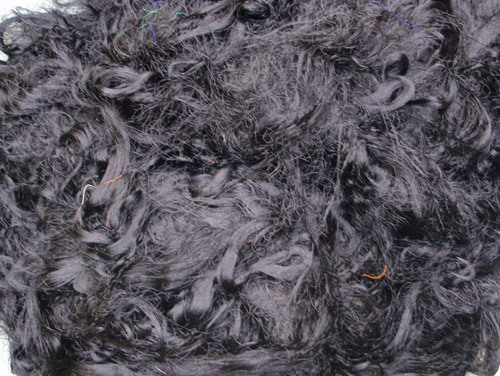 This is produced from the Spinning stage while manufacturing Spun Silk yarns. 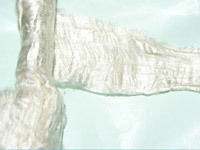 Grade A Quality Sliver Silk Tops – Very Soft, smooth and Luxurious Fiber. 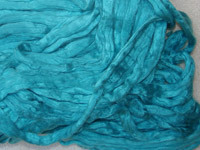 Can be dyed into any color of your choice both in Solids as well as Tie & dye form. 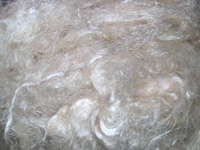 Can be easily blended with other fibers. 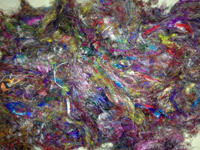 This Fiber is got from the twisting waste after Reeling of the Silk yarn from the Cocoon. 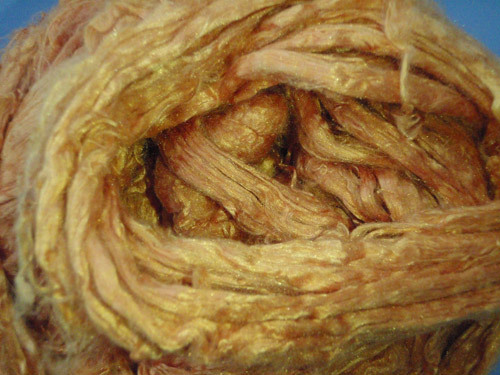 This fiber has been bleached and all the gum from this is removed. 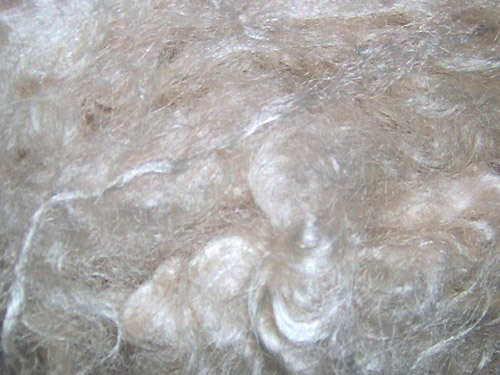 Ready to Spin or blend it with other fibers. 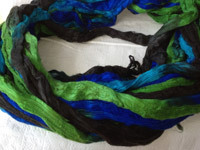 Can be dyed into any color of your choice. 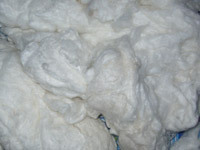 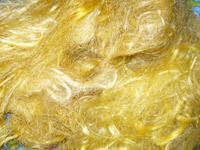 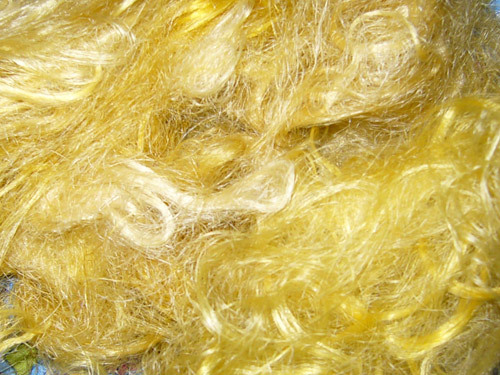 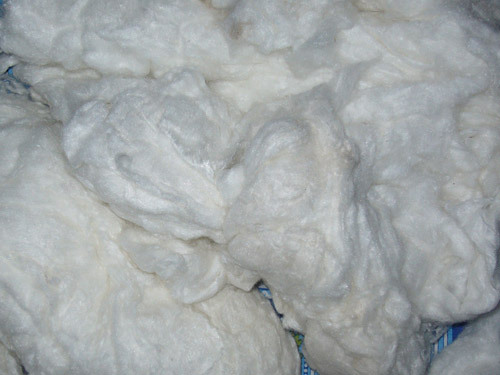 This is the fiber that is used to make the Sliver Silk Tops and other Spun Silk Yarns. 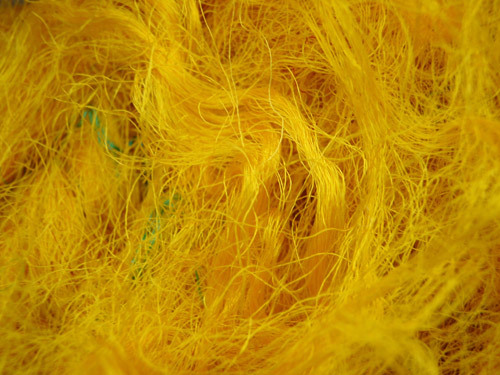 All different counts of the Spun Silk yarns are made out of this fiber. 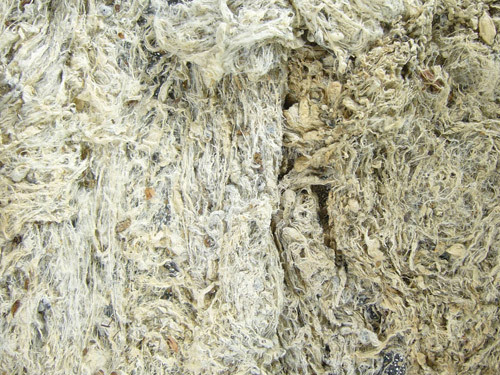 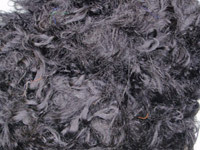 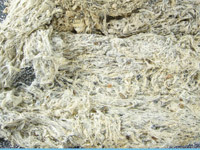 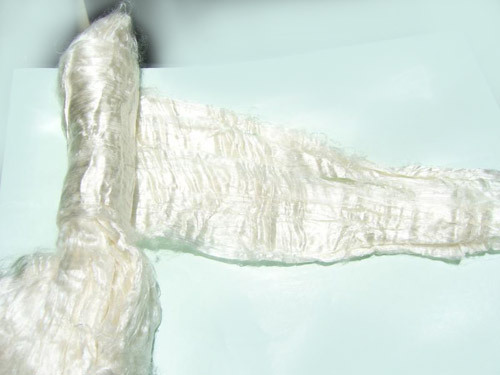 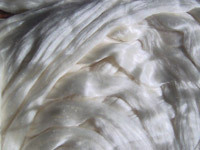 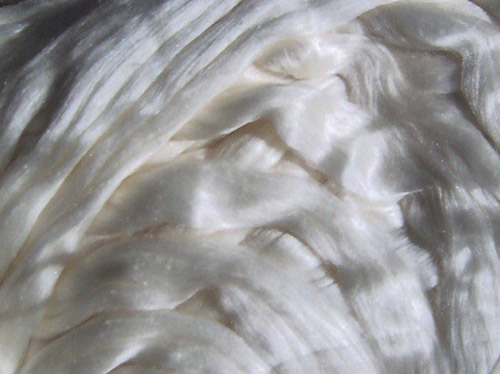 The Remnants of this Silk Filature waste during the production of Spun Silk Yarn is nothing but the Comber Silk Noile from which the Silk Noile yarn is manufactured.